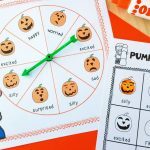 FREE Fall Sight Word Activity Sensory Bin Printables for Kinder and 1st! 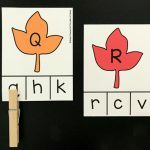 When it comes to learning sight words, the more practice the better. And, of course, the more engaging you can make that practice, the more willing students will be to keep working on them. 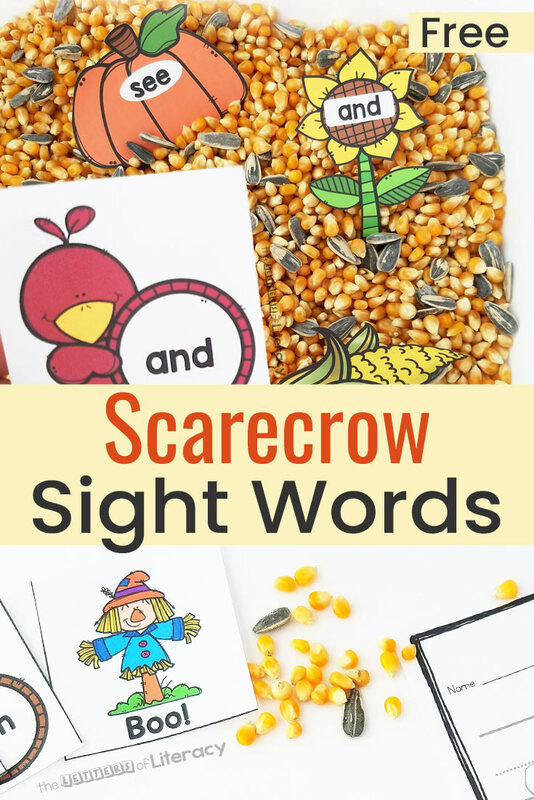 This Scarecrow Sight Word Activity has a couple of fun elements to make sight word matching seem like more play than work. 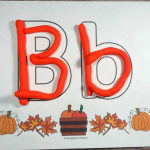 *Pair this with our October Sight Word Games and Centers! 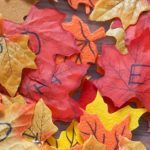 First, you can set up a quick and simple fall harvest sensory bin. I used a 32 oz bag of popcorn and a handful of sunflower seeds – I just picked these up at the grocery store, and they only cost me a couple of bucks. This was enough to adequately fill the plastic dishpan we use for sensory play. 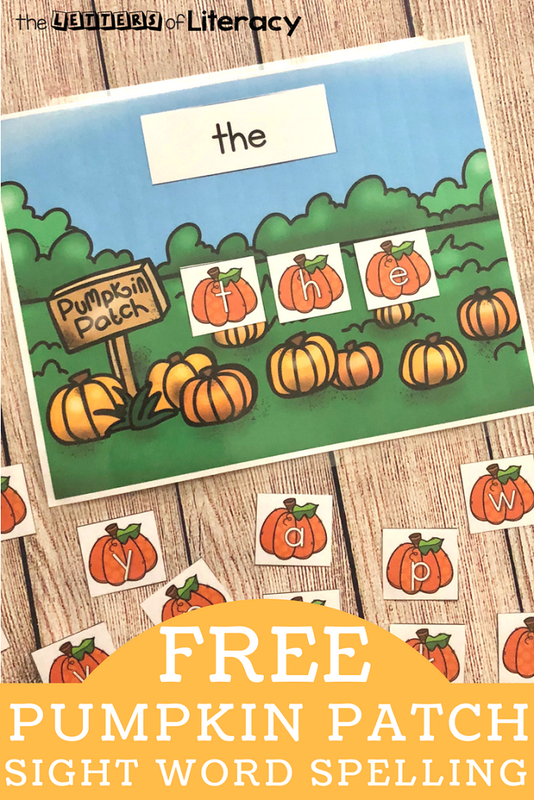 Next, print and cut out the free printable harvest pieces and cards. You’ll probably want to laminate them for durability. You could cut them as cards if you’re pressed for time – but I think they looked nice trimmed closely. 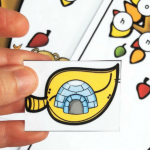 Finally, cut the scarecrows and the crows into cards as shown below, and print and copy the recording sheets too. 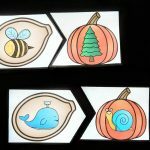 Start off by “planting” the pumpkins, corn, and sunflower pieces in the sensory bin. Shuffle all the crow and scarecrow cards and place them face down in a pile. Pick the top card. If you draw a crow, read its word. 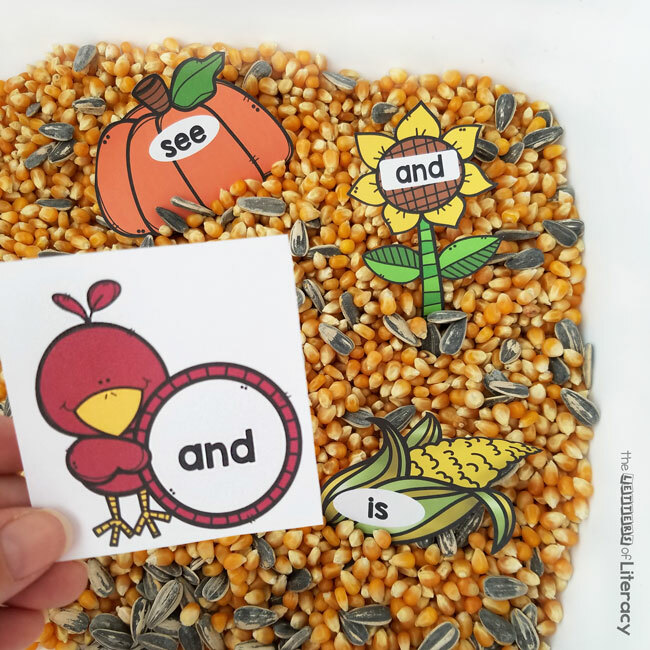 Then, look in the sensory bin for the piece with the matching word. Finally, set the pair aside and copy the word onto the recording sheet. If you draw a scarecrow, it will scare away all the crows you’ve already matched! Pick each one up, read it, and make it “fly” away behind the bin. 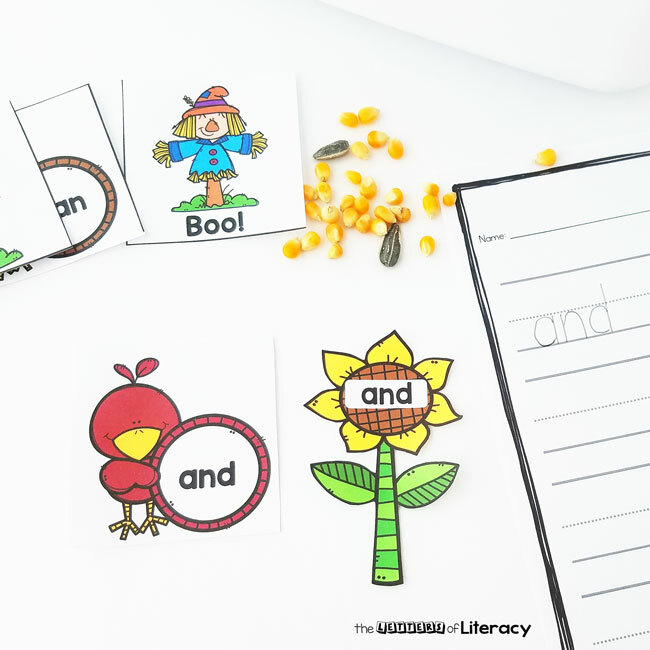 You may like to extend this activity with a few scarecrow theme picture books. I love Scaredycrow by Christopher Hernandez. It’s about an adorable scarecrow who is afraid of crows and just about everything else. A longer story with an interesting chain of events is The Scarecrow’s Hat by Ken Brown. I think this book would stand up well to repeated readings – it’s the kind of slightly complicated story that kids year to hear again and again. Finally, Scarecrow by Cynthia Rylant is a quietly charming description of a scarecrow’s world. 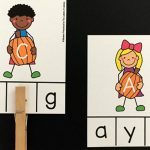 It has a slow pace, a positive message, and will help develop background knowledge too. 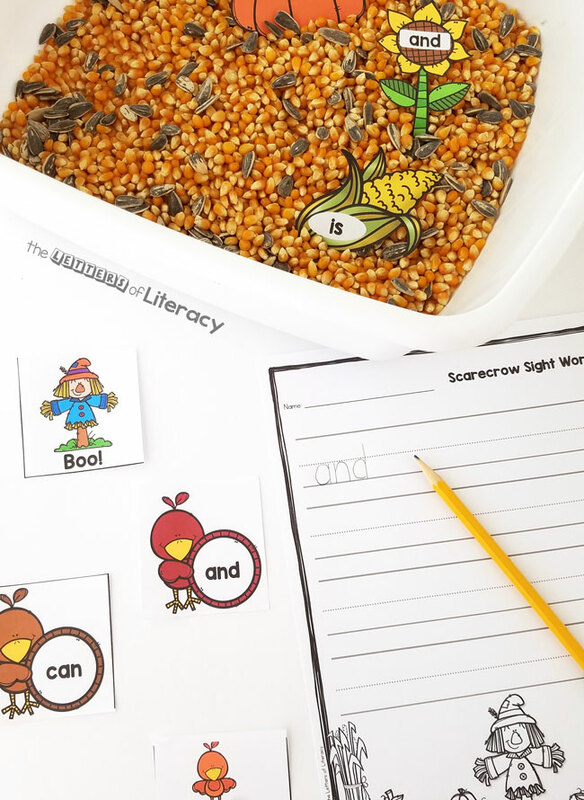 If you’re ready to grab your FREE Scarecrow Sight Word Activity, then click on the large, blue button below! 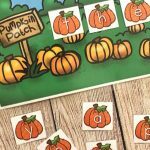 Then, hop on over to see our Pumpkin Patch Sight Word Activity!